There is a thing with this ear cuffs or hangers or whatever you want to call them. 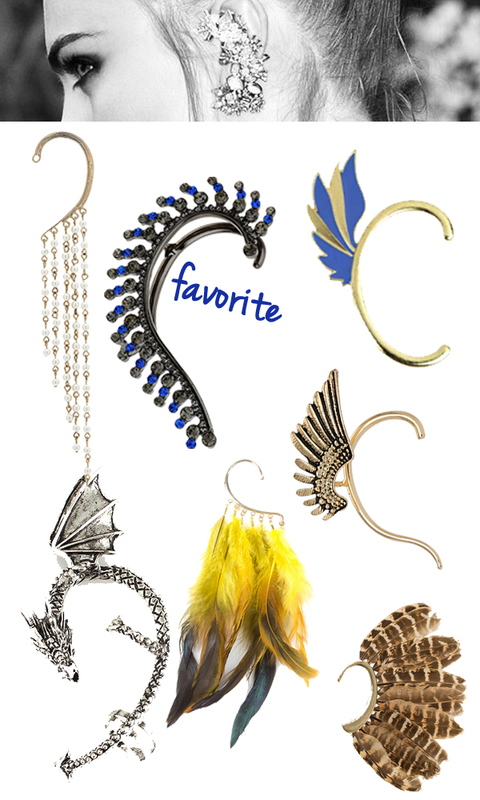 I love them especially with stones or a nice gold wings. There is another trend I love at the moment - bold stripes - here. What do you think of them? I would love to hear your opinion. a si sprobala kej od tega? Ne še :) Videla sem jih v Topshopu, vendar potem ko sem se odločila da kupim jih ni bilo več. poglej na ebayu, jih je full...pa še ful so poceni! Love the Ear Cuffs! Great Post!